Mid-back task chair features adjustable arms and molded foam, contoured seat and back that provide long-lasting comfort. Arms adjust in width 18" to 19-1/2". 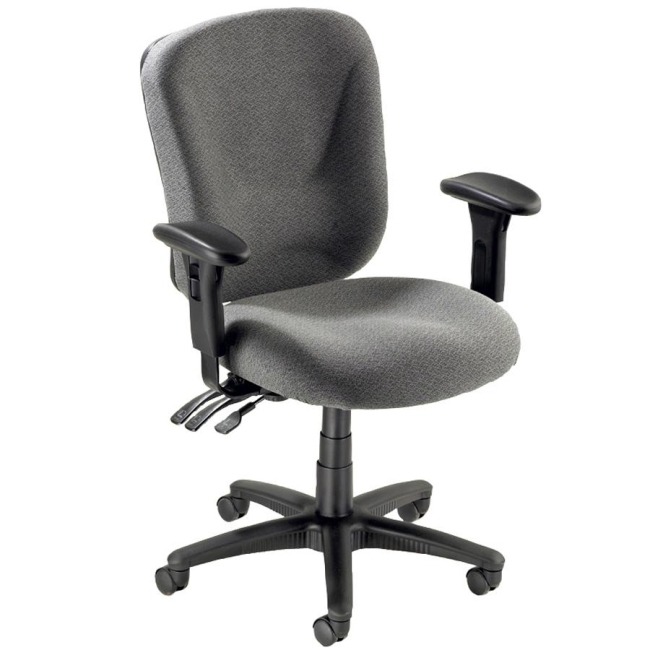 Functions include pneumatic seat-height adjustment (18-1/10" to 21-7/10"), back height adjustment, 360 degree swivel, tilt tension, tilt lock and asynchronous control. Waterfall seat provides under thigh support. Available in black frame only.